Fundamentally speaking the line of treatment is decided on the disease profile. 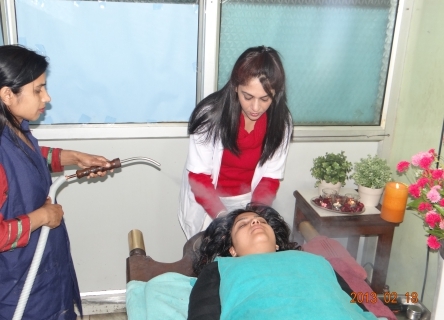 Even though before the start of the treatment the full and thorough Ayurvedic Examination is conducted, there after the actual panchkarma treatment starts. Step One : Before starting the treatment the patient is put on Purva - Karma i.e. the patient is given some oral medicines in the form of Ghee to dislodge the toxins from extremities to the core of body. Step Two : Sweating or the Swedanam Karma. 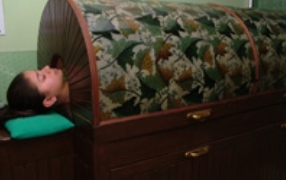 By applying heat the patient is put in herbal steam bath, it could be also the hot compresses so metabolic activity of the body is increased and toxins are eliminated out of the body. Step Three : It is the treatment selection by the main Karma. Purgative Enema : To clean the Stomach. Pulse Diagnosis - Detecting the disease by simply reading the pulse. Panchkarma - This is a specialized branch of Kaya - Chikitsa (medicine) which has the main role for the prevention and elimination of the toxins produced by the unhealthy food and behaviour. Medicines - All herbal and ayurvedic rasayans medicines to improve the general defective mechanism of the body. Rasayans - Very peculiar medicines in Ayurveda to promote health, fight out diseases and stopping the anti aging. Behaviour - Bringing behaviour in accordance with natural law through daily and seasonal routine.